During Black History Month, or any time of year, there are some great black history movies on Netflix. Some of my favorites are Murder She Wrote (don’t judge me 😉 ), Orange is the New Black, and Scandal. I was pleasantly surprised to find dozens of titles which celebrate, highlight, and explore stories surrounding Black History that are well known and ones you may have never heard of. 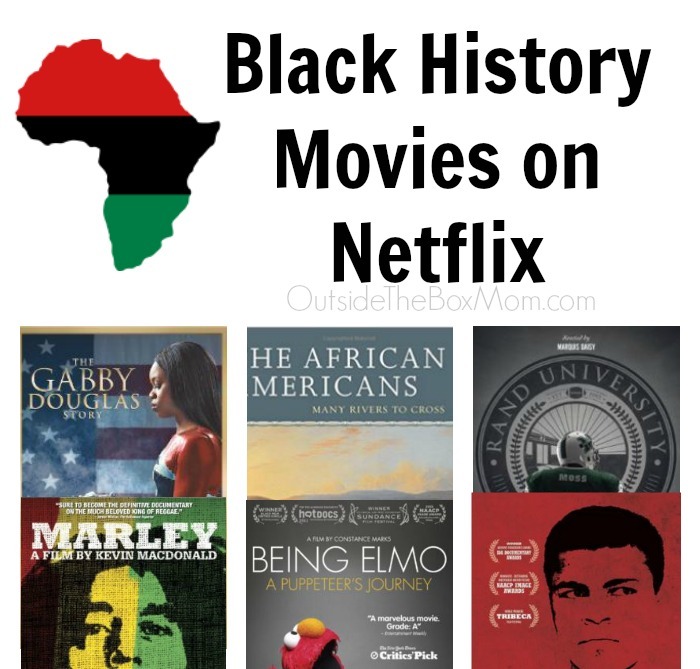 After I published this post, I found 10 More Black History Movies on Netflix to add to the list. I also created a list of 50 Women’s History Movies on Netflix. You can see all of my Netflix recommendations here. The links below are my affiliate links. 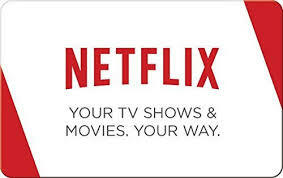 Need a Netflix subscription? Did you know you can buy a gift card? 1. The Gabby Douglas Story – This biographical drama tells the story of Gabby Douglas, the American gymnast who made history at the 2012 Summer Olympics by becoming the first black woman to win the Individual All-Around Championship. 2. The African Americans – Written and presented by Professor Gates, the six-hour series explores the evolution of the African-American people, as well as the multiplicity of cultural institutions, political strategies, and religious and social perspectives they developed — forging their own history, culture and society against unimaginable odds. 3. Rand University – Rand University chronicles the journey of soon-to-be Hall-of-Famer and one of the greatest wide receiver of all-time, Randy Moss, from his childhood in Rand, West Virginia all the way through Randy’s time in the NFL. 4. Marley – Featuring dozens of interviews, electrifying concert performances and rare footage, this documentary explores the music, life and legacy of reggae icon Bob Marley, from his birth in 1945 to his death from cancer at age 36. 5. Being Elmo – Beloved by millions of children, Elmo is an international icon. But few people know the soft-spoken man behind the furry red monster: Kevin Clash. Narrated by Whoopi Goldberg, this documentary follows Clash’s remarkable career as a puppeteer. 6. The Trials of Muhammad Ali – Exploring issues of race, religion and wartime conscientious objection, this documentary gives viewers an inside look at Muhammad Ali’s biggest battle: his struggle to overturn a five-year prison sentence after refusing to fight in Vietnam. 7. I Am Ali – Drawing from a collection of audiotapes recorded by Muhammad Ali as a personal journal, this affecting documentary offers new perspectives on the legendary boxer’s life outside the ring. 9. Mankind: The Story of All of Us – Telling the epic tale of the rise of civilization, this miniseries begins with the first flourishing of life in Mesopotamia, through the emergence of ancient cultures and later the discovery of America, capturing mankind’s place throughout history. 10. Dark Girls – This fascinating and controversial film goes underneath the surface to explore the prejudices dark-skinned women face throughout the world. It explores the roots of classism, racism and the lack of self-esteem within a segment of cultures.